An exhibition of items made of or on paper- fragile beautiful dreams, ephemeral, impermanent. 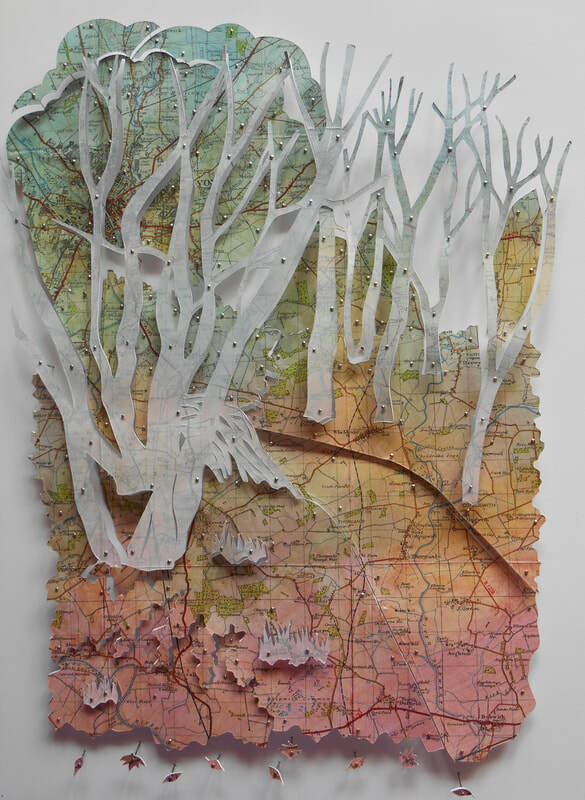 Rosie uses maps and other paper ephemera to create paper cuts that have a sense of place about them. 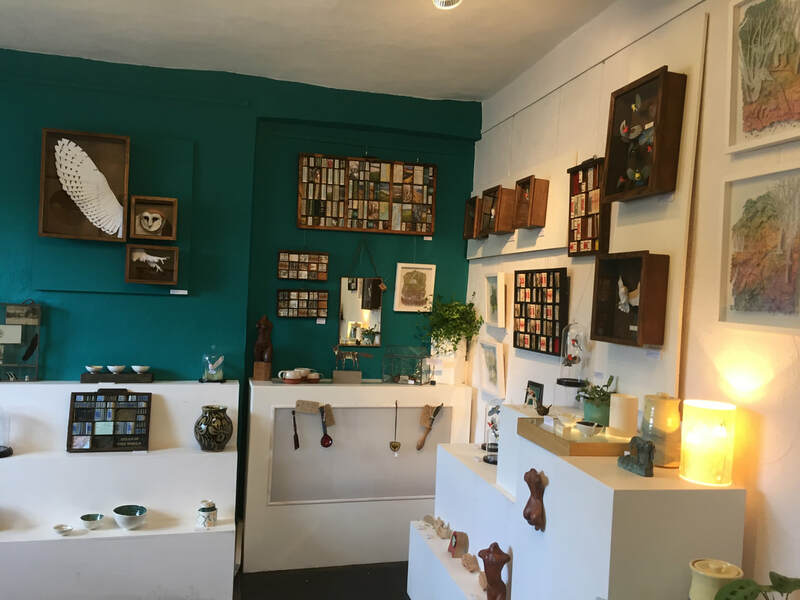 Her latest work for this exhibition is unusal in theat it contains few buildings but has more of the natural environment - trees, plants and flowers. The colours she has chosen give the images a slightly unreal dream like quality about them, her work is often based on memories of being in a place and this enhances this feeling. 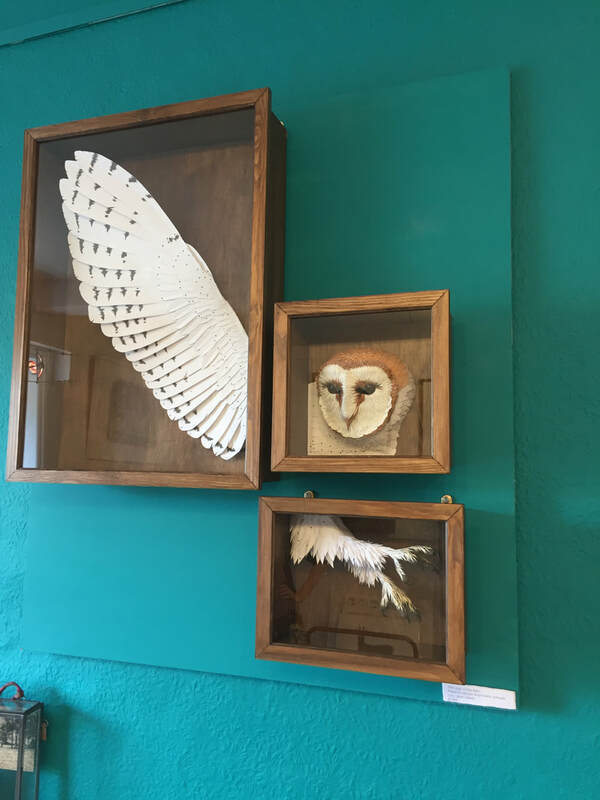 Kate Thornton is a Yorkshire based artist producing collages which draw inspiration from her love of birds and the natural world. 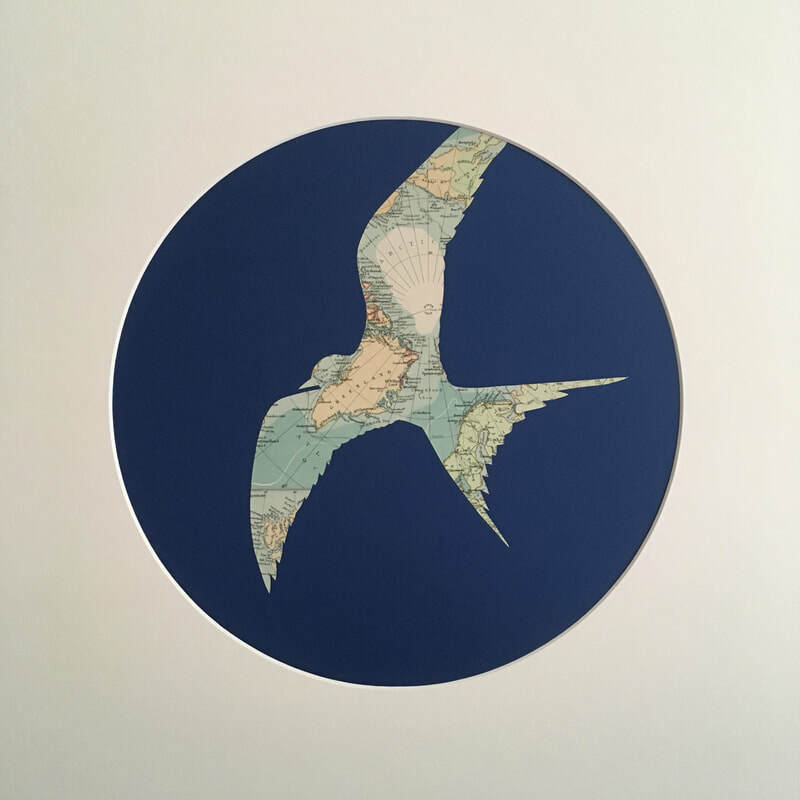 Her work uses silhouettes carefully cut from antique maps. 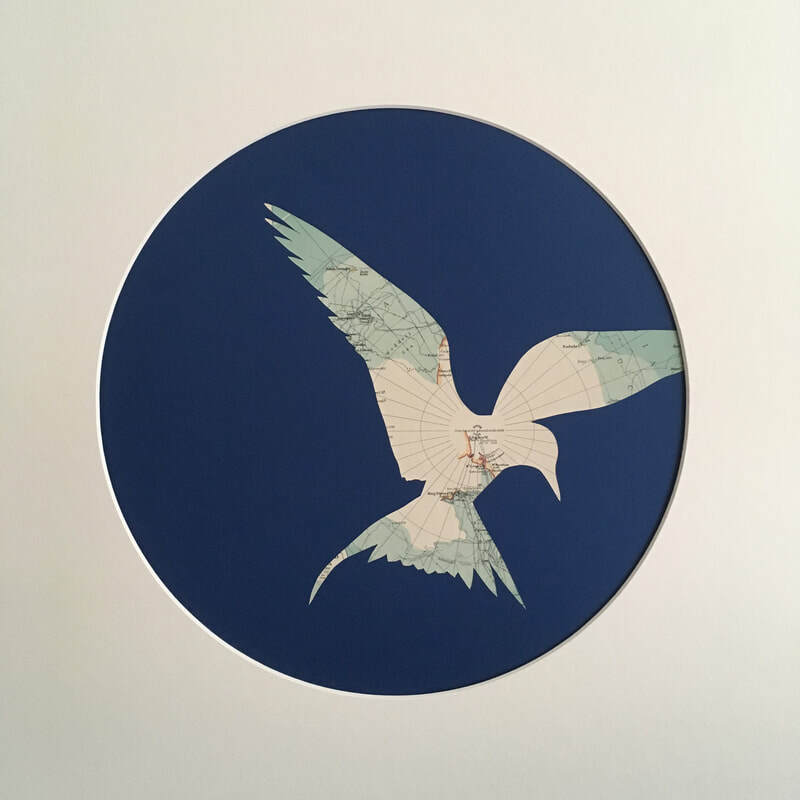 For this exhibition Kate looks at the incredible and mysterious journeys that birds make on their yearly migrations. Before ringing and satellite tracking there were many ideas about what happened to birds when they disappeared each year. Ancient Greeks thought they turned into fish and in some native folklore they believed birds turned into barnacles or hibernated in cliffs. 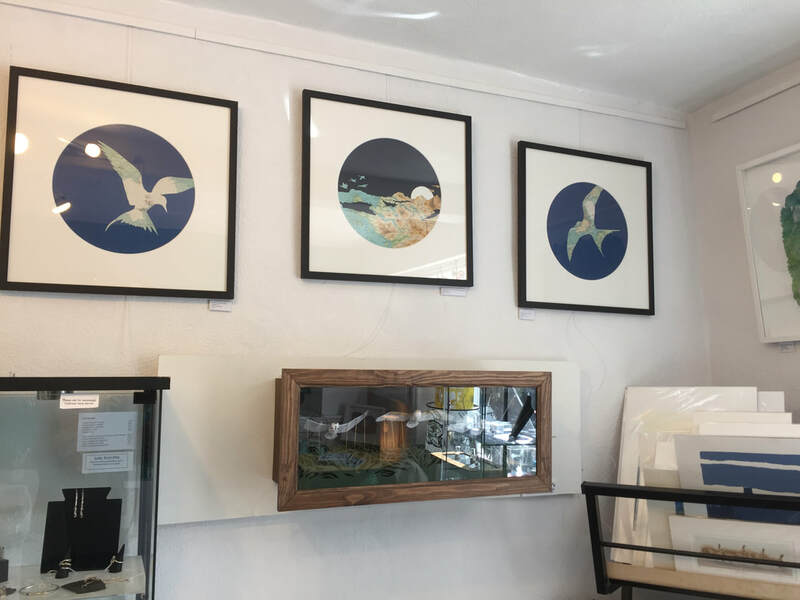 The five pieces in this show focus on migratory birds and the locations which they pass through or return to around the world and in the British Isles. 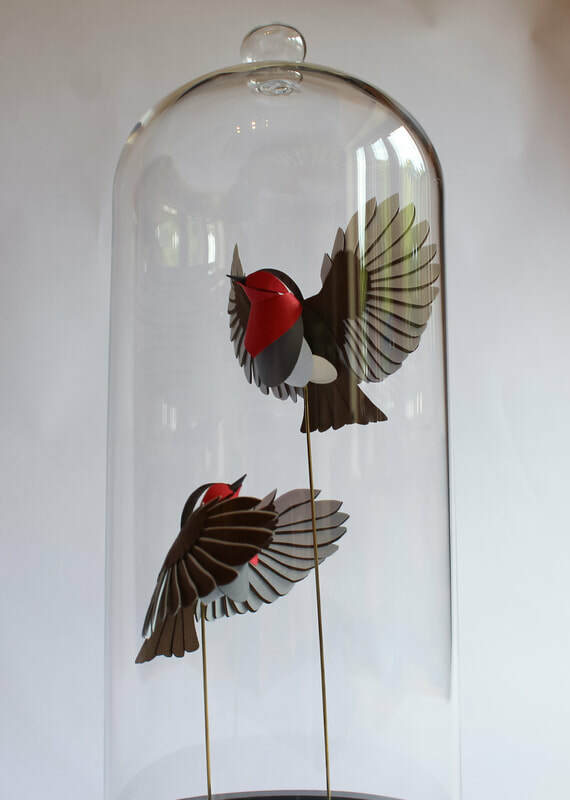 I am a freelance artist who specialises in paper-cut and kinetic sculpture. My work is greatly inspired by mythology and fact that surrounds birds. 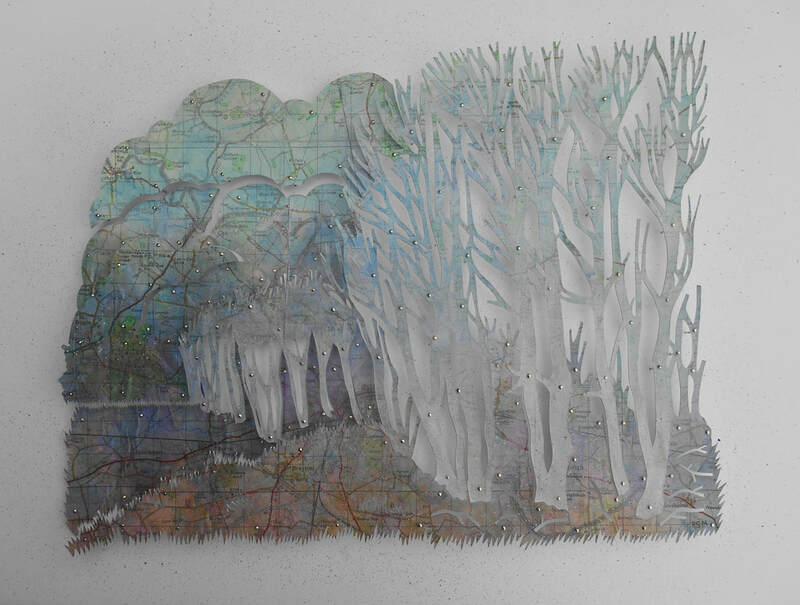 I work mainly with hand cut paper and card, adding metal mechanisms to bring the work to life and perform a narrative. I work in both small and large scale to create work that involves the viewer. 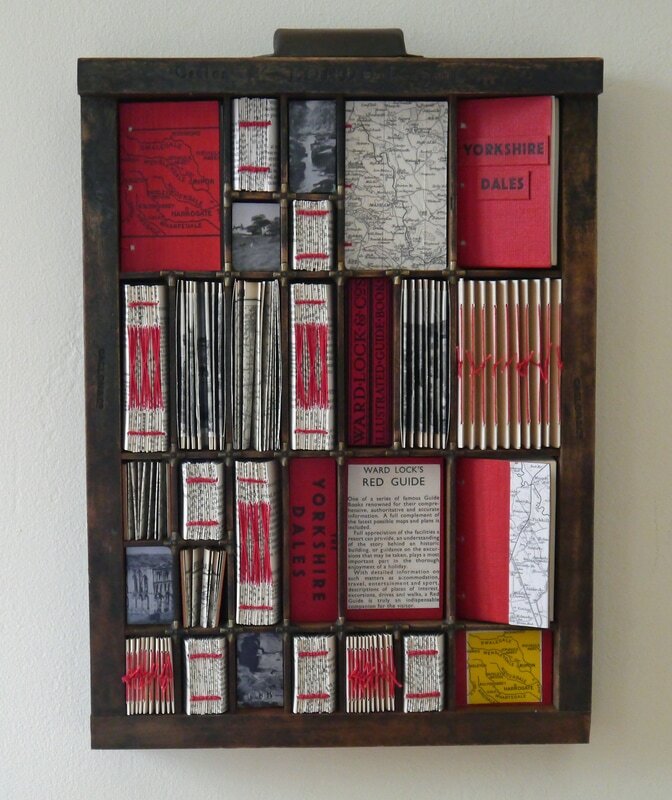 Elizabeth is a mixed media artist and printmaker who often uses recycled maps and text in her work to produce wall pieces and artists' books. 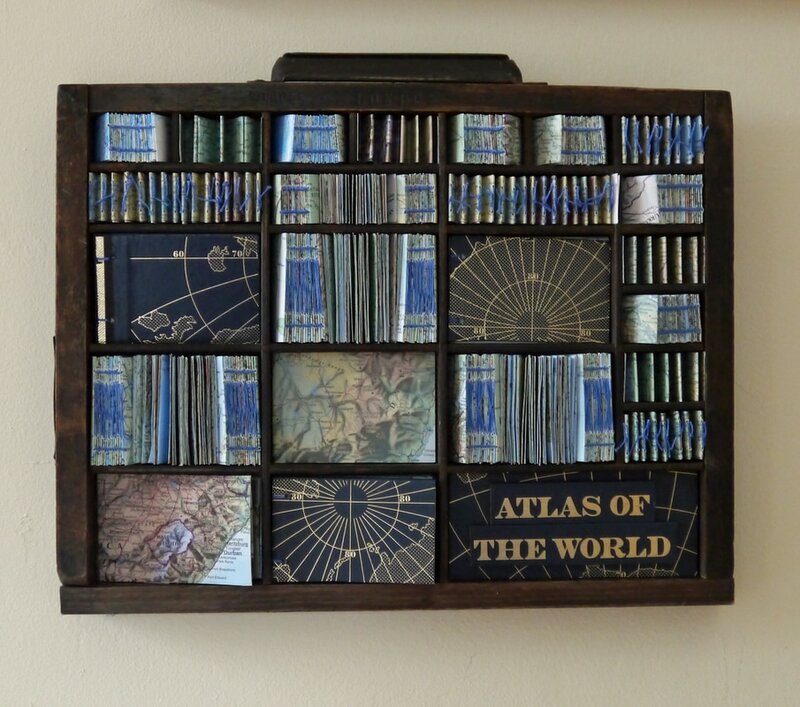 For several years now she has been using old print trays to display miniature books and pictures created from these recycled materials. The trays on display in this exhibition are intended to reflect places both home and abroad and to evoke memories both of places visited and those only dreamt of. The process of making is slow and meticulous giving ample time for reflection and dreaming. Elizabeth hopes this will be transmitted to the viewer.